I suppose it’s not surprising that Murphy and his law have a particular fondness for researchers of Irish genealogy. While it’s far more accessible than was the case for many years, thanks to all those recently digitised records, stumbling blocks still abound to challenge our research confidence. Such is the case with my Callaghans (aka Callahan/Calligan etc) from Courtown near Gorey in Co Wexford. Each step forward seems to come with a shaky step to the side…or backwards. In my earlier post, I discussed my aspirations for research discoveries in Ireland last year. Sad to report, much of those questions remain unanswered or have generated more questions. Despite my best endeavours I’m still unable to find the following for my ancestor, David Callaghan and his wife, Anne nee Callaghan. Baptism of children before 1868, though other clues have provided me with three children’s names: my ancestor Mary, born ~1860 who married Peter Sherry in 1881 and was of “full age”; Patrick drowned 1893 aged 33; and Bridget (unmarried). It does not help that the Callaghans were fishermen and/or sailors so could have married and had children far from Courtown. Nor does it help that they were typically illiterate and may not have completed the necessary documents, or been blasé about meeting imposed reporting deadlines. I find it highly unlikely that they did not baptise their children however, so why are missing from those? The notation on the church registers that “no baptisms were recorded in 1863-65” may be part of the problem. Although the parish registers for Ballygarrett cover a wide range of years, the presence of Callaghan names appears to be haphazard. You might expect that it would be perfectly possible to do family reconstructions quite easily but sadly, no. While I’ve indexed any I found, it still leaves me with lots of questions and ambiguities. Mary Callaghan b ~ 1860 married Peter Sherry (later McSherry) 1881 in Gorey Wexford. This family emigrated to Queensland in 1884. They have many descendants. May they rest in safe anchorage. Photo Courtown Harbour, P Cass 2016. Patrick Callaghan b ~1860 married Catherine (Kate) Dunbar in Dublin South in 1886. They had one son, David Callaghan #3, in 1893, only five months before Patrick was accidentally drowned. Both Patrick and later young David were sailors. I can find no record of David (b 1893) marrying so perhaps he had no children. Bridget Callaghan b~ 1867/68 unmarried, died 1937. Ellen Callaghan born March 1870 at Courtown died 1870. David Callaghan #2 born April 1873 at Courtown, died 1950. He too became a fisherman and sailor. David married Mary Kinsella, also from Courtown, in 1908. Mary died in 1956 and the witness was a nephew. It seems this couple had no children. Patrick and Catherine (Kate) Callaghan. Even though I can find no record of the marriage of David and Anne Callaghan, or births/baptism for their earlier children, I suspect that son Patrick may have been the eldest son. I base this theory on the fact that it was Patrick’s widow, Kate, who became head of the household by the time of the 1911 census and “inherited” the house. When I visited Courtown, in September last year, I was very fortunate to be introduced to an older gentleman who kindly gave me a photograph of Kate and Patrick. I think I tend to be too polite when visiting with random acquaintances as I don’t want to convey the impression that I’m “fortune hunting” or interested in getting the land, rather than the family ancestry. I’m also reluctant to strain their hospitality. David Callaghan #2 (d 1950), his wife Mary and nephew David Callaghan #3 are all buried in Ardamine Cemetery near River Chapel, south of Courtown Harbour. David #3 (d 1971) is buried with Thomas Turner and Mary nee Dunbar. I cannot determine what his connection to them might be, although David’s mother was a Dunbar but not from this area. Another connection I’m curious about is Mary Callaghan, daughter of a David Callaghan, born about 1838, and hence an age peer of my David Callaghan #1 (brother, cousin, no relation?). Mary married Luke Doyle in Courtown in 1868. Mary Doyle is witness to many of the various Callaghan births and some deaths. It may be that she was simply the local midwife or “nurse”, but she could also be a relation. I am still mystified how the various Callaghan families from Courtown connect, or even if they do. I suspect that the claim made in Ace of Spies, that David #1, John and Edward were siblings, is incorrect. Certainly, the children’s naming patterns don’t suggest that. They don’t seem to follow the predicted pattern of father’s father, mother’s father, father and mother’s mother, father’s mother, mother…or is it just that I’m missing children. I’ll leave this mystery here for now and live in hope that I may get a random “hit” one day, that explains not only these ancestral links but also a couple of strong DNA matches I have from the general area. I’m also going back to one of my earlier posts to add in new info rather than recreate the wheel. General Register Office, Dublin, Ireland an in-person search netted me a reasonable number of certificates only to find Murphy’s Law struck again with the free release of many digitised images (see link below), the very next day. Luckily some of those I obtained are yet to appear online. And while the walk there gave me some sight-seeing and exercise, it would have been good to catch the bus 50 metres from the hotel and arrive outside the door of the GRO! Ah well, next time. The kindness of strangers, and a cat, in Courtown. Ardamine cemetery and St John’s Episcopal church. Photo P Cass, Sept 2016. The last two weeks have been packed with genea-adventures. 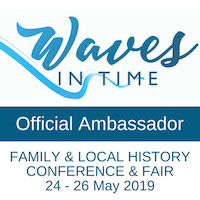 Firstly it was the Footsteps in Time conference at the Gold Coast which was extremely well organised by the Gold Coast Family History Society and History Queensland. Thanks also to all the sponsors who helped make it a successful event. If you ever needed proof that conferences can add to your genealogy research offline, this was further confirmation. I don’t intend to single out any one speaker for fear of getting myself in strife – suffice to say I enjoyed them all and I always get a new tip, or a thought to pursue. I was fortunate enough to present on one of my hobby horses “Beyond the Internet” and if you missed it, you can get my handout list of suggested topics here. While my examples were focused on my own research discoveries, each and every one of us can find some discoveries among the records – they will just be different to some extent for every researcher. I must also apologise to the poor speaker about Trove on Friday morning – I was trying to make a discreet exit when I tripped and landed flat out in the aisle….oops, and a very sincere thank you to the gentleman who rushed to my aid. My self-inflicted drama explains Martyn Killion’s cryptic remark re Congress 2018 that I may be able to stay on my feet….he wasn’t alluding to me indulging too much in alcohol. The conference was followed by a delightful few days at home with my good friend and geminate from Darwin, and showing her some of the local sights. Before we knew it, the weekend had rolled around again and it was off to Nambour to listen to the visiting experts Fintan Mullan and Gillian Hunt of the Ulster Historical Foundation. Both Fintan and Gillian were enormously knowledgeable. The venue was packed with people travelling from as far afield as Melbourne (omitting the speakers). Once again it was a fabulous learning opportunity. You don’t realise how unaccustomed you are to intense and constant thinking until you need to absorb a vast array of information in one day. Heaven knows how the newbies felt. Again it was meeting up with a cousin and genimates that was the icing on the cake. 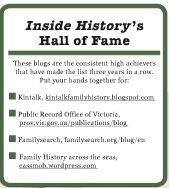 Congratulations to Genealogy Sunshine Coast for a great opportunity for learning. Then a few days ago we had the anticipatory excitement of the launch of the Congress 2018 program and registration. It’s already generating lots of enthusiasm so don’t procrastinate – get in there and book rego and accommodation asap. Yes, the dollars add up, despite the best efforts of the convenors, but that’s Sydney for you and luckily you can split your registration costs over two payments. As speakers register, they are being linked to the presentations in the program. Some of my genimates’ topics are already linked as are my two: Uncovering your Irish roots, a beginner’s guide and Parallel lives, Irish kin Down Under and Abroad. Helping to build the excitement and connect attendees at the Congress, Jill aka GeniAus, has launched a new Facebook group page called Genimates at #Congress_2018. Why not join us and get the buzz and good tips about what’s happening or advice about Congress generally? I also publish a weekly newsletter with some snapshots being talked about by Congress participants (unfortunately limited by the number of people I can add). 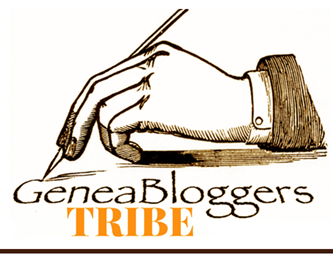 Today’s Facebook news came with the announcement of another innovation for genealogy bloggers called Geneabloggers Tribe (great name btw!) Great to see genimates GeniAus and Caitlin Gow will be the Aussie team members! In between all this conference excitement I’ve finally got around to putting time into my Callaghans from Courtown…a blog post or two coming up. And…my long-awaited Living DNA results have arrived this past week. Whew! No wonder it’s been busy here. We saw in my previous post that there were at least three siblings born to James Reddan and Mary Scott of Gortnaglogh, Broadford, Clare. Thanks to DNA matches, clues from descendants, and further research we have learned a little about children Winifred and James and their lives in the USA. However, what did happen to their older sister Mary? My theory was that if she had also emigrated to the US we’d likely find her with or near her siblings in Manchester, Connecticut. Did she marry, or did she become her parents’ carer? I turned once again to the online Catholic parish registers for Broadford, County Clare. Sure enough, Mary Reddan of Gortnaglogh is married on 18 February 1871 to Patrick Liddy from Knockbrack townland in the Parish of Kilnoe. The witnesses once again confirm the family linkages: Pat Tuohy of Knockbrack and Margaret O’Brien from Ballykelly (sister to my 2xgreat grandmother). Marriage extract from the Broadford Parish Registers for 1871. Underneath his name is an annotation to indicate he was married in New York, but unfortunately some of it is obscured. Married to El….Connors (?) at Ascension Church, New York on Oct 9, 191x. Map of Ballydonaghan townland from Ask About Ireland and Valuations Office. It seems highly likely that the Tuohy family were close relatives of the Liddy family, perhaps cousins. It’s also relevant that Pat and Mary lived close to Mary’s likely cousin (or 2nd cousin), Honora Garvey at Ballydonaghan. Honora is another sister to my 2xgreat grandmother, Mary O’Brien so this may be how the couple came to know each other. Pat Liddy is also a witness to the baptism of John Garvey jnr in 1877. At the time of the 1901 census the family at Ballydonohane (sp) in the DED of Boherglass included Mary 56, John 20, Bridget 18, and Thomas 15 who could all read and write, but none spoke Irish[i]. Mary was already widowed. They were living in a 2nd class dwelling of stone with a thatched roof, 3[ii] rooms and 3 front windows. Their farm included a stable, a cow house, piggery and barn[iii]. 1901 Census from Irish National Archives. By 1911, only John 32, and Thomas 25, are residing on the farm, which had different outhouses: stable, coach house, cow house and calf house. It seemed likely Mary had died between 1901 and 1911, so I turned to the civil registration records[iv] to find her death. Luckily, for this period it also included images, so I could confirm I had the right person and learn that daughter Bridget had been present at Mary’s death on 20 February 1909. Mary was aged 71 (hmm, an interesting age jump since the 1901 census), and she was the widow of Patrick Liddy of Ballydonaghan. In the same way I found Pat’s death on 3 July 1900, aged 61, also witnessed by his daughter Bridget. Although Mary was only 63 at the time of her death, based on baptism dates, she had experienced enormous tragedies. She was born in the depths of the Great Irish Famine yet survived. What impact did it have on her long-term health I wonder? Her son Matthew (17yo) died on 5 February 1891 from “probable meningitis” followed on 18 May 1895 by the death of their youngest son, Michael, aged 13, from pneumonia. Only five years later her husband Pat died. She must have felt buffeted by some fierce winds of life. However, this is “only” some of the challenges of her life. She and Pat had also experienced the drama and near-tragedy of being evicted from O’Callaghan’s estate in Bodyke. These evictions are infamous as one of the key factors in the Land Wars. The Liddy family appears on the list of tenants of the estate, and another Liddy/Lyddy family from the townland of Clonmoher was among the two families evicted on the first day[v]. The O’Callaghan estate files are held in the National Library of Ireland’s reference library and may contain some additional information on this family, as they do for the Garvey family. Given the notation of son Patrick’s baptism, it seems likely he had emigrated to the United States either before Pat snr’s death, or between that of both parents, however I have been unsuccessful in tracing his immigration or naturalisation. It is unknown what happened to their daughters Margaret (pre-1901) or Bridget[vi] (after 1901): did she die, emigrate or marry in the USA or Ireland? John Liddy married Margaret Ryan in Ogonnoloe on 13 February 1912[vii] and presumably remained on the family farm. Younger brother, Thomas, emigrated on 6 June 1913 on the Mauretania[viii]. The passenger record shows his former residence is with his brother John at Ballydonehan, Bodyke and he was planning to stay with his brother Pat at 1804, 3rd Avenue New York. Thomas states himself as a 22 year old labourer. Mauretania on her maiden voyage in 1907, leaving Tyneside. Image from Tyne and Wear Museum. Meanwhile, what became of the Reddan property at Gortnaglogh? The Valuation Revisions indicate that ultimately the farms of James and Pat Reddan were combined and inherited by Michael Reddan by at least the early 20th century. As yet, it’s not known what kinship exists between Pat Reddan’s family and that of James Reddan but is seems likely they were cousins of some degree. Pat Reddan died in 1892, aged 97, on 7 February, and his widow, Winifred, aged 92 died on 10 February. Both deaths were witnessed by son Michael. Of course, like so much in genealogy, one discovery arrives with more questions. Where did this Winifred come from? I can not find their marriage, and the mother of Winifred, James and Mary was stated as Mary Scott….did she perhaps have a two first names, based on the naming patterns? The Michael Reddan who resides at Gortnaglogh in 1901 is the correct age for the one born to Pat Reddan and Mary Daniher…so who is Winifred? What am I missing here? Image extracted from ID 3709465 on irishgenealogy.ie Civil Registrations. The bonus of DNA is that it has established a kinship connection between James and Mary Reddan’s children, Winifred, James and Mary. I wonder if a Liddy match will come up at some stage? [v] My assumption re this family is based on the fact that the other eviction that day was of the widow Margaret McNamara who also lived at Clonmoher. [vi] I can not find her marriage or death in the Irish records, nor an obvious immigration record. She is not the Bridget Lyddy who emigrates on the Celtic in 1910 as her former residence is with her father, John at Bodyke and it seems likely this is John Lyddy from Clonmoher townland. [viii] Donated material on the Clare Library website from Ellis Island information. 1. An elusive ancestor I (haven’t) found was…still on the trail of James Sherry who continues to elude me. Did he die, do a runner from his family, emigrate back to Ireland, or perhaps New Zealand…or outer Mongolia. He was the primary reason for my DNA testing. Patrick Callaghan (left) who was drowned off Dublin. 2. A precious family photo I found was a serendipitous discovery of my great-grandmother’s brother. Patting random cats in genealogical areas can lead to all sorts of genearosity, companionable conversation and sharing of photos and stories. 3. An ancestor’s grave was elusive. We visited the Offaly graveyard where my Martin Furlong is buried but could not find his grave among the many others…perhaps we were just too tired. 4. An important vital record I found was the Irish civil registration which confirmed that my 2xgreat grandmother was born Anne Callaghan as well as being married to a Callaghan (pronounced Callahan in Ireland). Now…where did she come from? 5. A newly found family member came from DNA matches which confirmed paper trails. I also discovered that a long-term local history colleague is a cousin…very exciting. 6. A geneasurprise I received was being greeted by the librarian at the Clare Local Studies Library in Ennis like a Rockstar, and his supportive comments on my Kunkel family history book. I had forgotten about this until my friend Fran, the TravelGenee, reminded me the other day. 7. My 2016 blog post that I was particularly proud of was My Gratitudes because in 2017 I want to focus more on the positives and be less critical of myself and others. I started a meme called Monday Memories (so long since I’ve done one, I’d forgotten) – good posts were Milne Bay and Old Time Courtesies. My A to Z theme this year was “how to pursue an interest in genealogy/family history”…this was my third year, so I’m not sure if I’ll go round again. And in December 2016, my blog had its seventh Blogiversary…I’d been thinking it was only six. 8. I made a new genimate who was courageous in making her first public presentation on Irish valuation records in company with some well-known Irish experts. Lots of good info in her talk. Congratulations Bobbie Ede! 9. A new piece of software I mastered was…learning more each day about genetic genealogy using Gedmatch. It will be a long time before I feel I can say I’ve “mastered” genetic genealogy though, hence why DNA talks feature heavily in my Rootstech 2017 schedule. 10. A social media tool I enjoyed using for genealogy was Facebook. Every day I connect with and learn more about genimates around the world. I love how it builds our community! 11. A genealogy conference/seminar/webinar from which I learnt something new was Judy Russell’s sessions in Brisbane – thanks to Unlock the Past; and the GSQ seminar featuring Irish history gurus Drs Perry McIntyre and Jennifer Harrison. 12. I am proud of the presentation I gave at the Clare Roots Conference on the Diaspora of the Wild Atlantic Way in Ennis in September. I was able to present the findings from my East Clare Emigrants research to an Irish and wider audience. Thanks to those from the Clare Facebook Group who shared their photos of their East Clare ancestors for me to include in my presentation. I was so chuffed that Broadford local history guru and cousin, Pat O’Brien, commented so positively on what we are all doing writing and researching about our Irish ancestors – returning them to their Irish homes and their community’s history.It was such a pleasure that my cousins Mary and Eileen came along to hear my talk – thank you ladies and while I missed subsequent talks the special time we spent together was simply “gold”.I was also thrilled to meet Tulla researcher, Jane, who manages the Tulla Reaching Out Facebook page and another researcher who has interests in Broadford. I also had a new experience which I thought went well… my first-ever radio interview on Clare FM about my talk and the conference. If this works, you can hear it here…be warned it’s a large file. https://cassmob.files.wordpress.com/2017/01/p-cass-clare-fm-interview.mp3. 13. A journal/magazine article I had published was…nada, nil, zip…. 14. I taught a friend how to…don’t know that I did, but I helped a friend of a friend who knew nothing about her parents’ background. 15. Complementary genealogy books that taught me something new were Blaine Bettinger’s well set out Family Tree Guide to DNA testing and Genetic Genealogy and Genetic Genealogy in Practice by Blaine Bettinger and Debbie Park Wayne. If you want to unravel the mysteries of DNA testing these are the tools you need. The joys of archives succinctly stated at Donegal Archives. 16. A great repository/archive/library I visited was The Donegal County Archives in Lifford where Mr Cassmob explored the Board of Guardian minutes in the hope of tracing his Famine Orphan, Biddy Gallagher. 17. A new genealogy/history book I enjoyed was Damian Shiels’ The Forgotten Irish in the Civil War. This is a superb book and I highly recommend it to anyone with ancestors who fought in the US Civil War and/or have Irish ancestry – it shows just what can be done with what might seem like dense government records. You can read my GoodReads review here. 18. It was exciting to finally meet genimate Judy Russell aka the Legal Genealogist on my home turf along with my local genimates. We had a great time introducing her to the joys of the local area with its amazing seafood and just getting to know each of them better. The shrine at Bedlam, Donegal near Gortahork. 19. A geneadventure I enjoyed was a three week jaunt to Ireland in September with Mr Cassmob, visiting libraries and archives, walking the ground, exploring home places and visiting the place where my grandson’s other line comes from in Donegal. Thanks to my genimate Angela aka The Silver Voice for her help and tips along the way. 20. Another positive I would like to share is …having Queensland Family History Society recognise my eleven Pre-Separation Queesland ancestors. You can obtain forms here if your ancestors arrived in what is now Queensland before Separation in 1859. What a wonderful community we have among genealogists around the world – some blog, others Facebook, some work at local libraries: whenever and wherever we meet we share something truly precious – a little of ourselves, a lot about genealogy and the passion for this obsession of ours. I have made great friends through this network of genimates and treasure you all. I love Donegal’s wide open spaces and wild scenery. In some strange way it reminds me of Australia, but don’t be lulled into thinking it’s always sunny. In the coming weeks I’ll be thinking out loud on this blog about my research plans for an upcoming trip to Ireland. One of my key objectives is to get to understand the confusion of Callaghans from Courtown, Parish of Ballygarrett, County Wexford. When I wrote about this family previously (here and here), the digitised Catholic Parish Registers had not been released by the National Library of Ireland, nor indexed by Ancestry and Find My Past. This advance has proven to be heaven-sent for me, while it still leaves lots of gaps in my understanding of the different branches of this family. I am fortunate, though, that the registers do cover early years and also include burials, something that can’t be taken for granted with Catholic records. So the periods available to me are: baptisms November 1828 – February 1863, marriages August 1828 – November 1865, and burials August 1830 – April 1857 and October 1865 to April 1867. This then leads directly to the civil BDM registers, but I’d still like to see more parish registers. Who were the parents of David Callaghan, father of my Mary McSherry nee Callaghan? Where was he born, given his baptism is not shown in the parish registers? Perhaps his mother was from another parish and he was baptised there, but even so he is not turning up in the indexes. Who was his wife? Later civil registrations show her name as Anne Callaghan, but was this actually her maiden name or was it her married name? Where and when was my great-grandmother, Mary Callaghan (later Sherry/McSherry) born and baptised (c1860)? She also does not appear in the Ballygarrett registers. How is David Callaghan related to the other Callaghans in Courtown Harbour and nearby townlands (Edward, John, Michael)? A few marriages are not in the Ballygarrett registers implying either (i) they were possibly married in the Church of Ireland or (ii) more likely, were married in another Catholic parish. The Callaghan men were fishermen and seamen. This means they may have met their wives some distance from Courtown (affecting marriage locations) and they may have met their deaths at sea (hence no burial records). Because of this it makes it difficult to determine the naming patterns with confidence: are there children lurking in another parish? Like so many other families of the era, names are recycled with monotonous frequency making it difficult to know which is which, as well as to which branch they belong. Look at the Griffith’s Valuation Revision lists at the Dublin Valuation Office to see the land transfers for Callaghans in the Courtown area. (I did order in the film from Family Search but somehow it boomeranged straight back). Search for more detail on the BDMs in the civil registers. Visit Courtown to see the lay of the land, and the houses they lived in, which still appear to be standing. Check if parish registers are available at Wexford Archives for periods beyond 1865. Pat Callahan & Nancy Bulger married 1833 – townland? Children: John, Patrick, Elisabeth (married James Redmond). (1833-1845 with a big gap). Michael Callaghan & Catherine Sculey – married date unk – townland ? Some of the gaps in these families may be due to twins or still births. My great-grandmother, Mary Callaghan McSherry, gave birth to two sets of twins. There are also seem to be two clusters of Callaghan families – one lot in Courtown Harbour and another in the townland of Glyn. And whose son is Edward Callaghan (born circa April 1816) who joined the 81st Foot Regiment in 1840 at Gloucester? He stated his place of birth was Ardamine (civil) parish near the town of Gorey. After leaving in 1861, he intended to live in Bury, Lancashire. Thanks for your patience in following my thinking. If anyone has ideas, or can see anomalies, I’d be pleased to hear from you. Make sure you limit your search to “Ireland” before starting out. Check out the card catalogues and/or use these links to focus on the digitised versions of the parish registers. Did you know you can search by place only so you only show the parish you’re looking at for a range of years but with no name? This will give you a list of all names indexed (however strangely) for the parish.